Heavenly full body aromatherapy treatment. Duration 30mins, 60mins or 90mins. Relax, detoxify, tone or stimulate with this tension-releasing, holistic treatment. Stresses and strains blissfully melt away and skin all over the body is left revitalized and velvety. The prime purpose of sports massage therapy is to help alleviate the stress and tension which build up in the body’s soft tissues during exercise. It works deep into the muscles, re-aligning the fibres and connective tissue and flushing away toxins. Regular sessions will increase joint mobility and flexibility and reduce the risk of injury during exercise. The correct facial will not only replenish and feed your skin, but also relax and revive you. We use Decléor products for all our skincare regimes, containing 100% pure, preservative-free essential oils. We start with a unique back diagnostic massage to revive the senses and make your skin more receptive to treatment. Choose from hydrating, revitalizing, anti-ageing, or plumping treatments for dramatic improvement in skin tone and sparkling, refreshed eyes. Power-packed with vitamins and antioxidants, this award-winning facial melts away stress. It combines a rebalancing essential oil elixir with a warm decongesting mask, for skin that’s purified, perfectly replenished and glowing. This super-hydrating facial quenches the thirstiest skin. Gentle exfoliation is followed by a nutrient-rich mask to rehydrate skin extensively, resulting in supple and cashmere-soft skin. Producing instant clarity for dull, devitalised skin, this antibacterial and mattifying facial blitzs spots and excess shine. It includes aquatic plant powders and an oxygenating power mask for a brighter and shine-free complexion that’s simply flawless. By cocooning skin in nurturing essential oils and active nutrients, this replenishing facial comforts, renews and repairs. Ultra-nourishing, it feeds dull, dry, exposed skin and transforms the complexion to satin smooth radiance. Desensitizes and reinforces stressed, fragile & reactive skin - Duration 1hr 15mins. Acting like a calming comfort blanket, this blissful treatment relieves stressed, angry skin. Power-packed with skin-strengthening essential oils and including a skin-perfecting peel-off mask, it works immediately for clear, soothed and resilient skin. Short of time? Discover why Decléor facials are world renowned with this ultimate rescue remedy. It includes a revitalizing massage, essential oils and a gentle polish to wake up skin and leave it fresh and radiant. Hyaluronic acid and powerful youth-boosting ingredients combine with gentle exfoliation to target lines and wrinkles and deliver immediate and dramatic results. A potent mask packed with antioxidants and galangal extract, lifts, plumps and firms skin for a luminous, younger-looking complexion. 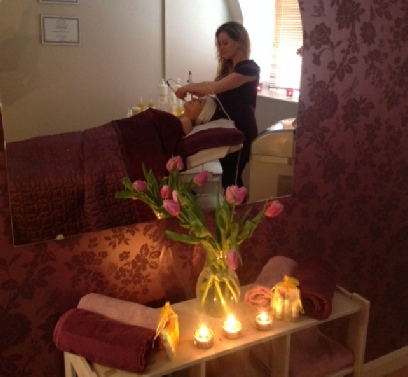 Anti-ageing facial to leave the skin plumper & firmer - Duration 1hr 15mins. Energizing and luxurious, specialized massage helps recharge skin tissues an indulgent, collagen-rich mask infuses the complexion with plumping nutrients. The skin’s natural renewal process is kick-started for a firmer, radiant result. Anti-ageing & visible plumping for a smoother eye zone - Duration 45mins. Put the sparkle back! A targeted treatment that features intensively hydrating and repairing eye masks. This fights fatigue, quenches moisture loss and helps erase wrinkles for a refreshed, rested eye zone.